Born from a passion for minimalist design, we intend to break conventions and move away from tradition. We work towards excellence. Whether you need a website, an eCommerce store, or marketing collateral for your brand, we understand design and know how much is too much. is unique and minimalist, created just for you. Your digital storefront. Sell your products or offer your services anytime, anyplace. It's not just about geometric shapes and colors. It is about having an identity that represents your brand. Out-of-the-box design to help efficiently communicate the niche and USP of your brand or product. Creatively designed campaigns result in significantly higher brand retention. You have an amazing application. Allow us to show you how design can enhance the marketability. Find out what customers are thinking and improve your services or introduce new services. A beautifully designed product sells itself. And the packaging goes a long way in helping. The most effective way to introduce and keep your brand familiar with your clients. Is your brand too big for your agency to handle? 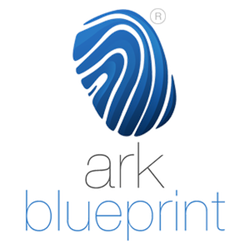 Ark Blueprint was a perfect choice for our school website, as they understood our vision and effectively translated it into a website we wanted. The team at Arkblueprint came across as courteous, consummate professionals. Their readiness and enthusiasm helped us design, as well as flawlessly migrate, our non-profit website. We continue to avail their services. While customization is the name of 'our' game, we found similar attention to detail and flexibility with Ark Blueprint. Not only did they spend a lot of time understanding our ideals and perspective about what we want from an e-commerce store, but also worked a lot on tailoring it to fit our needs precisely. We look forward to a long and healthy collaboration. Get in touchWhat can we do for you? © 2016, Ark Blueprint Enterprises Private Limited.